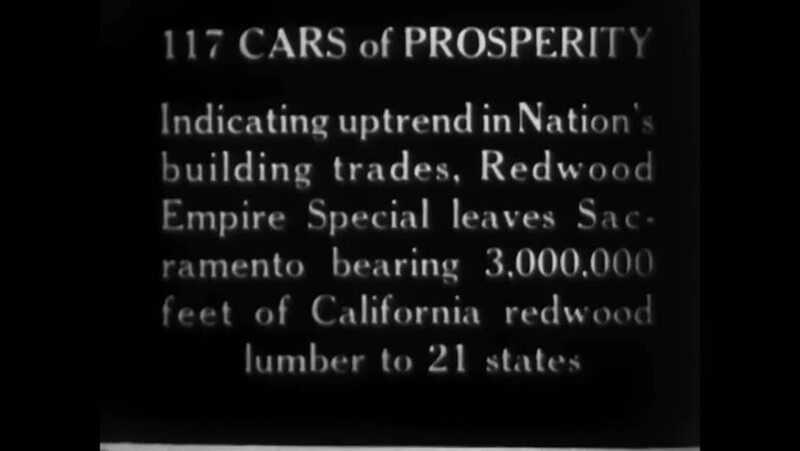 CIRCA 1931 - The Redwood Empire Special train prepares to leave Sacramento; California Governor "Sunny Jim" Rolph is on board. hd01:11CIRCA 1920s - An explanation of the production of Gas Oil through the cracking process in the 1920s. hd01:05CIRCA 1920s - The importance of pre-positioning machine parts at a factory is shown. hd00:24UNITED STATES: 1970s: Pathe News title. Man by departures board talks to camera. Close up of departure board. hd00:191950s: Text: Theodore Roosevelt, one of America's greatest presidents, set forth an eloquent statement of Americanism, 1918. Sidney Blackmer recreates speech for The News Magazine of the Screen. hd01:00CIRCA 1926 - A camera mounted on a car captures other cars and trolleys passing in a busy Holland town.